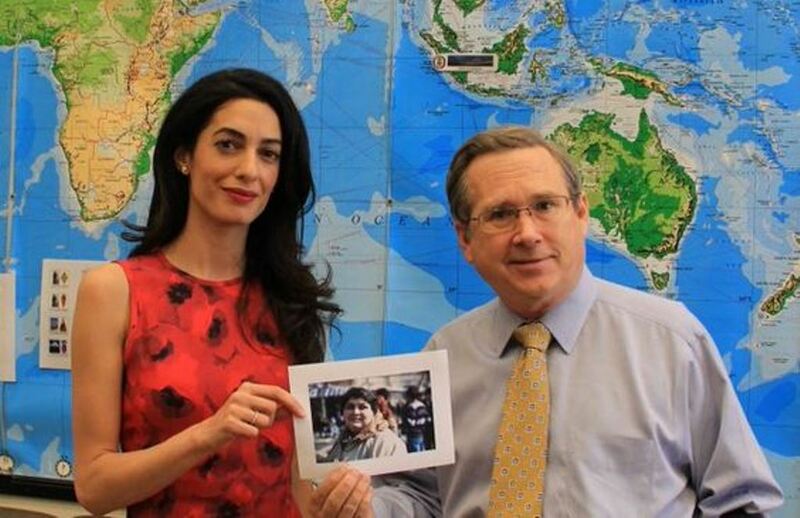 Amal Clooney meets Senator Mark Kirk to receive support for the Khadija Ismayilova case. This entry on the blog really makes me chuckle. Why? I am assuming that Amal’s goal in smoozing with Sen. Kirk is to garner positive PR for her client. Well, Sen. Kirk is on his way out in the Senate; I doubt he will survive the election in November. Additionally, he doesn’t serve on any committee that would give him the influence Amal is looking for. I wonder if Amal wandered into the wrong senator’s office or something? It’s too funny. I wonder why Amal isn’t conducting her PR jaunts in her home country? 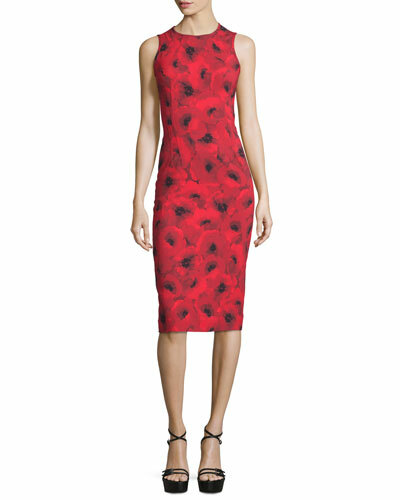 I do love the dress though-great color and pattern. Gorgeous red dress. The black in the dress enhances the beauty of her hair even more. Lovely lovely. Although, I’m not so sure how fitting it is to smile BIG for a photograph meant to instill the seriousness of the situation for the person in the photograph she is holding up in her hand. Most attorneys might express a facial pose that reflects; “I mean business on this issue”! I have to agree with Amelie….why not do this in her home country? Why bother Americans with these issues. We can’t keep coming to everyone’s aid when they cry for help. Sometimes you have to stand on your own 2 feet and put some effort into it instead of countries always running to the USA for help and assistance. Rise up and find a solution. Bottle feeding forever is not going to happen. Nor should it. It is 7 months until our election and we do not know if Kirk will not be re-elected and that would not be the point. If we only garnered support from those we thought might be re-elected we would miss out on a lot of opportunities to cull the support needed, I think she is savvy in soliciting support in the US. We do not know who is involved in this important cause in other countries. The dress would be better worn by a woman with curves. 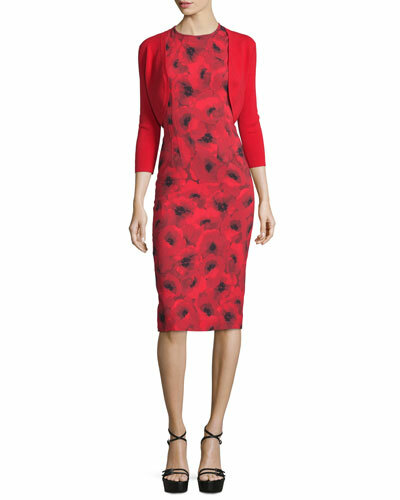 This cut (ie shealth) and the lycra blended fabric (ie Elastane and spandex) will make a woman with her body type look like she’s drowning in excess fabric or it will accentuate that she has a curve-less figure. She should stick to looser garments, that aren’t as body-conscious, as she usually does. Agreed. My only hope is that it wasn’t shortened to “mini” length. While I too support the freeing of Khadija Ismayilova I have no idea either why Clooney is asking US politicians to get involved. If anything this kind of public pressure by American politicians will be counterproductive. I’m sure the American government doesn’t like Russian politicians telling them what they should do inside their own country. Its rather similar to the Fahmy case, where behind the scenes efforts by Canadian diplomats, the work of his very experienced Canadian immigration lawyers, and not least, Fahmy’s belated renouncing of his dual citizenship, led to his freedom – not public critiques of the Egyptian government by foreigners. I see that her law firm is also filing a case in the European Court. Do they think they have a legal solution or hoping for a political one? Its an odd role for a lawyer whose arguing a case – even a human rights one. 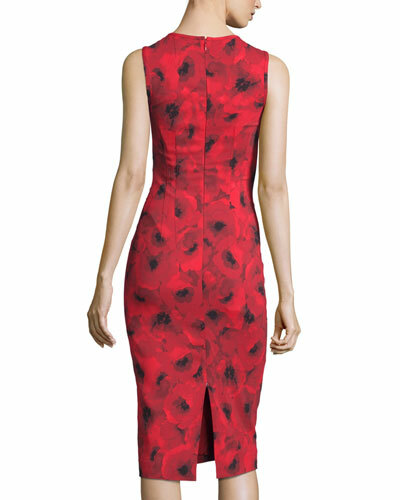 As to style – red is certainly Amal’s colour but not sure I’m crazy about the pattern. I’m on the fence about the Dior suit. Find the jacket a bit fussy, but the skirt needed to be taken in – its hanging on her and combined with the below the knee length is not the best. If the skirt is below the knees, I think it should be slimmer. This case may reach the ECtHR, so there may be more legal work involved. Worth noting that – once again – Amal has been brought in at a late stage here. The application to the ECtHR was made as early as June 2015 by the lead counsel in this case, Nani Jensen. As with all her other cases post-marriage, Amal has been brought in comparatively late (though I admit if this case does reach trial then she will be busy). As for pressuring US politicians… Well her celebrity status allows this and that is exactly why she has been brought in on the case. I am sure she will try to do the same in the UK. I do hope she has success here, however! I like Amal, but I’m going to sound a bit critical because I don’t want aspiring lawyers-to-be to get the wrong idea about circumstances here, either. 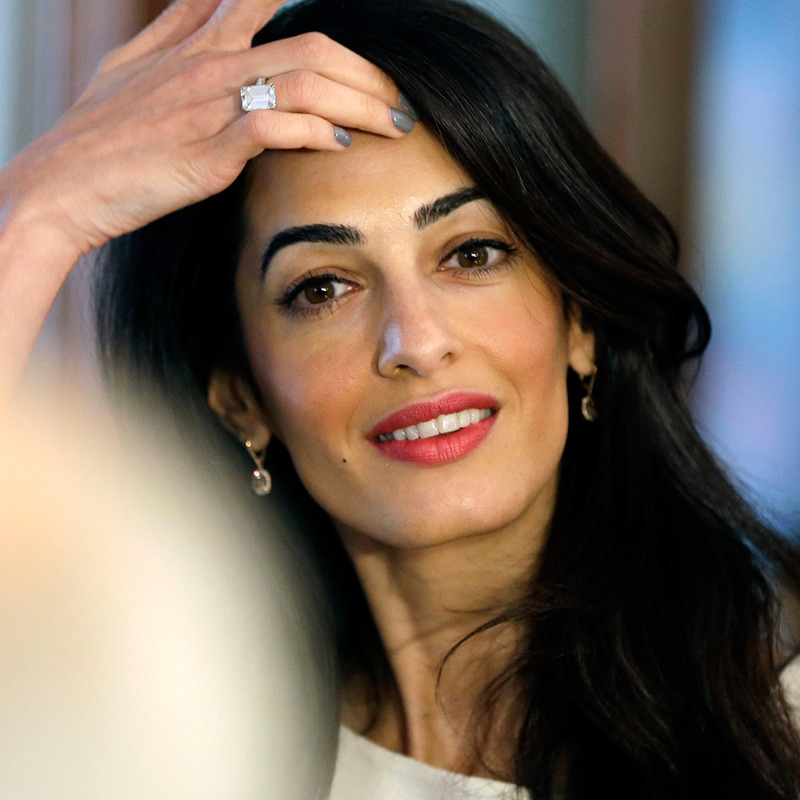 Amal is not pressuring anyone in D.C. There are a million lobbyists circulating there, some waving significant sums of money around with them, at whoever they speak (e.g. lobbyists representing big corporations). This is another PR stunt, with photos and news coverage meant to get back to the high and mighty in Azerbaijan. At the most, Amal is explaining Khadija Ismayilova’s case to these people, trying to tie the case to U.S. interests (however it may fit). Essentially, she’s playing a role as a touring lecturer for Congresspersons, hoping that some will listen and care. This is in part why the Clooneys hosted their fundraiser for Hilary: it’s a way of broadcasting to the world that they have access to important people in the U.S. (the other part of the deal is that this fundraiser gives them access to Hilary in the first place, esp. if she becomes the next president). That they have this kind of access is soley because of George’s superstardom. A lot of Hollywood stars have this kind of diplomatic access in the U.S. and abroad, as well. So, Amal and the legal teams that she joins are capitalizing on George’s fame. However, this kind of influence can only go so far. Advice to future lawyers: you too can do everything that Amal does, if you marry someone with wealth and fame. That’s why Amal doesn’t need a career plan. Thank you Nati for allowing the occasional intelligent discourse through on your blog. I wish you would allow it more often. Lady: You do not sound critical as much as you sound cynical and ill-informed. Clooney has been doing fund raisers for some time and his last big one was for Obama. It was not a PR stunt then and the recent one was not a PR stunt. There are plenty of male and female lawyers who capitalize on who they know. And there are ordinary citizens who do the same. In the I/O world it is called networking and it is not a stunt. Many MBA programs have courses on how to develop professional networks. These are not stunts. Your last paragraph is ridiculous and sounds like jealousy to me. I may sound cynical to you, but that’s your impression. Regarding jealousy: sorry to disappoint you, but I’m not a lawyer, nor am I affiliated with anyone in Hollywood, and, perhaps most importantly, I don’t compare my life with that of lawyers/public personalities. I simply made my comment to point out to those who read here who may be easily impressed that there is a huge factor to Amal’s apparent “success” in the field of law that exempts her from needing to worry about a long-term career plan. That’s being realistic and honest. A lot of professionals (not just lawyers) worry about their long-term career plans and take rational, realistic steps toward success. It’s hard work for them, and there are only a very few exceptions to that rule (exceptions are usually due to privilege). I actually grimaced when I read her advice to young lawyers not to worry about their career plans. That’s totally unrealistic and misleading, and it smacks of privilege. I actually love the dress on her and the pattern adds more lbs to her – it’s adorable on her. I am sure her strategy to involve these politicians is well thought out and Amal and her legal team is not going to waste their efforts if there was not a point behind it – I’ll leave that to the professionals. What really gets me thinking is why Amal said she would not take the case involving GAZA investigations because she had a full case load yet she took this new case on . That really makes me wonder especially because Amal with the extra attention she admits says she has acquired since marrying George has brought the spotlight to worthy cases and causes and she uses it for the better. Really I want to understand why. I’m afraid the intelligent discourse is Jackson’s……..
And what about this Amel245 liking absolutely everything negative ( or what she thinks is negative, not sure she understands everything 🙂 ) or cynical on this blog ???!!!!! Ah ! Wonderful screens, hiding ugly, cynical, jealous, envious, bitter ……people ! Nati, You are soooooooooo patient !!!!! Nati, the elephant is in this room.